With all that said, I sometimes like to highlight examples of athletes overcoming challenges. One of my all time favorites is from Bill Goins. Over a decade ago, Bill was a City Coach athlete. 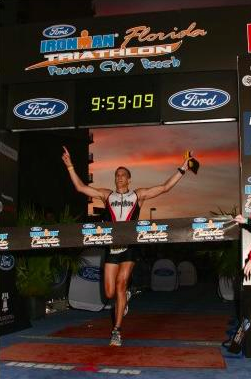 He came to me with a crazy goal - he had an 11+ hour PR at Ironman, but wanted to become the first Clydesdale to qualify for Kona. I told him that to have a chance, we'd need perfect conditions, total dedication from him, and hopefully a smart program from me. Here's Bill's account of one of the challenges he overcame. "I was in India for a wedding for two weeks and deathly afraid of getting behind in my IM training and then having to face you when I got back. So in my effort to keep up with training, I decided to swim the Maheshwar river which was surprisingly clean but really twisty and turny, so I tethered myself to a large barge anchored in the middle of the river and swam in place for and hour. I always sing to myself when on a long swim so I was oblivious to the anxious yelling of the guys on the barge who were freaked out that I was slowly pulling the whole barge up-river. They were as pissed as Indians can get (which isn’t much) but the next day they waved me out to the barge and proudly explained that they had dropped two anchors this time and invited me to tie off again and swim to my hearts content. 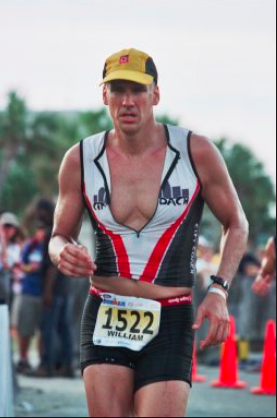 Six months later, at age 47 he broke 10 hours at Ironman Florida, becoming the first Clydesdale (6'7", 200 pounds) to qualify for both the 70.3 and Ironman World Championships.